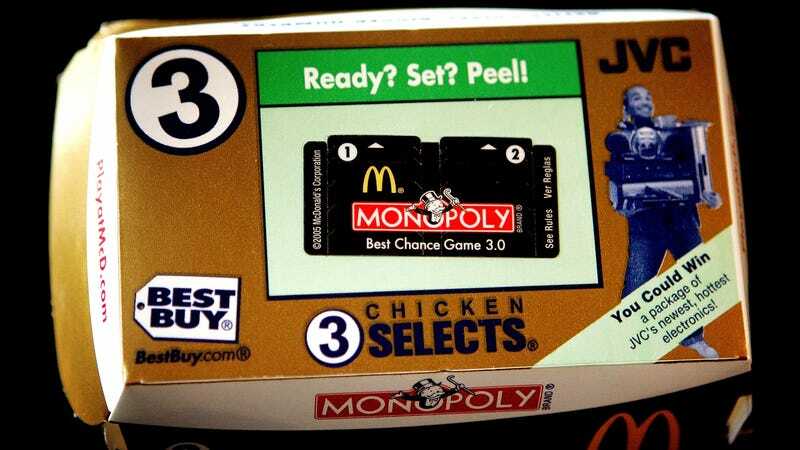 Remember McDonald’s Monopoly game? Remember how you never, ever won anything beyond the occasional free large fries or soda? The Daily Beast now offers a fascinating, in-depth reported piece about the ex-cop who rigged McDonald’s Monopoly system, only to be stopped by a straight-up FBI sting (or as The Daily Beast calls it, a McSting). Maysh’s detailed breakdown of the scandal behind one of McDonald’s biggest marketing promotions makes for a fascinating read over at The Daily Beast today.